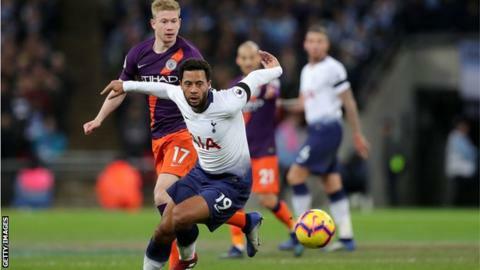 The Belgium international, 31, is out of contract in the summer and has not played for Spurs since injuring his ankle against Wolves in November. Chairman Daniel Levy is keen to trim players from manager Mauricio Pochettino's squad. Striker Vincent Janssen is also likely to leave during the January window. Dembele has made 243 Premier League appearances in total, scoring 12 goals and making 12 assists, having joined Spurs after two seasons at Fulham in 2012. He has 80 caps for Belgium and was part of the squad that finished third at the 2018 World Cup in Russia. Netherlands international Janssen, 24, has scored just two goals in 28 Premier League appearances since joining from AZ Alkmaar in 2016 and spent last season on loan at Turkish club Fenerbahce.